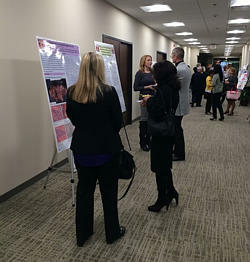 Dr. Nancy Young (PAP President) reviewing one of the posters in the display hall. 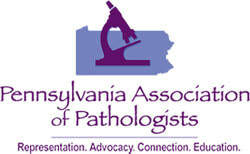 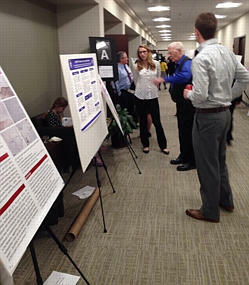 Pathologists gather to looks at poster presentations. 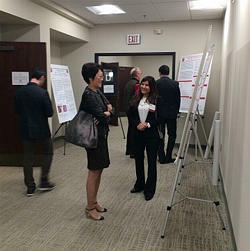 Dr. Megan Lim discussing one of the posters with the presenter. 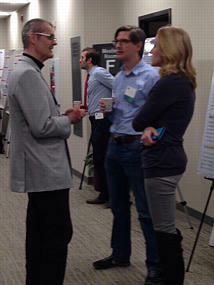 Attendees discuss poster displays with colleagues. 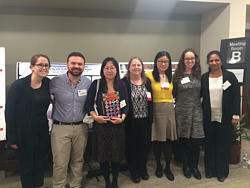 A group of this year’s abstract presenters.